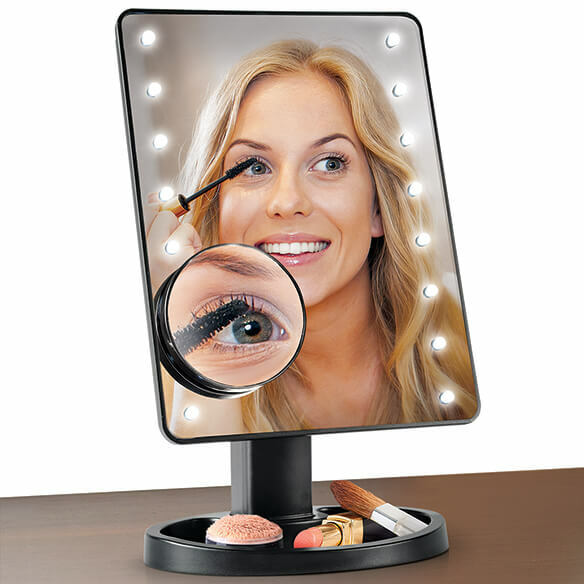 Makeup application has never been easier, thanks to this large Light-Up Makeup Mirror with 10x Magnifier. 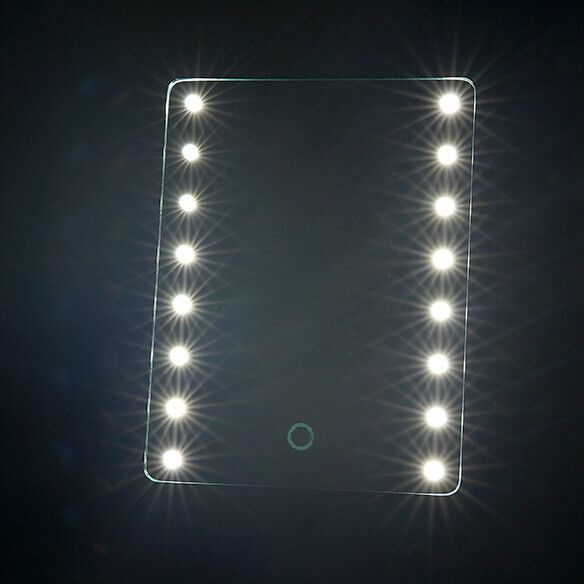 The 16 LED lights make makeup application a snap in low light. 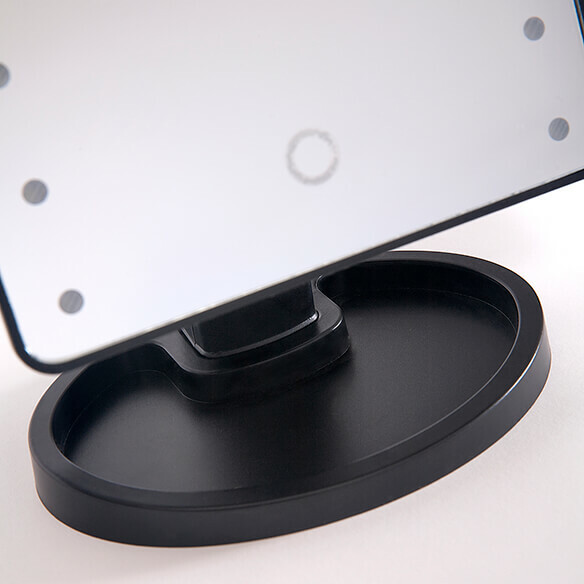 The 10x spot magnifier helps with precision application of eyeliner, mascara, eyebrows and facial grooming. Base has recessed area for jewelry or cosmetics. 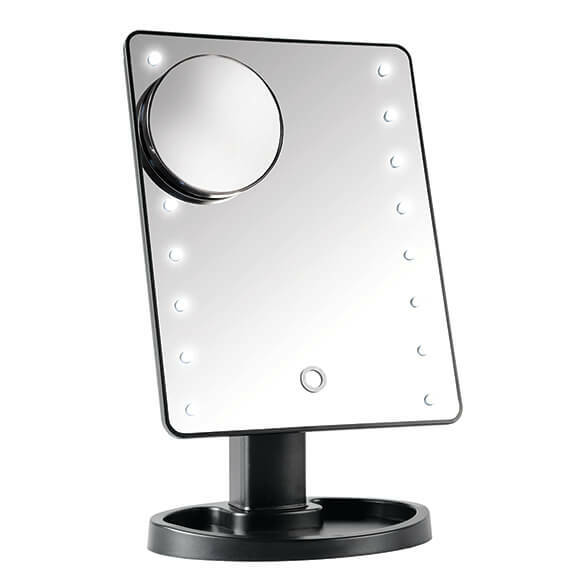 Mirror can flip back 180 degrees and turn for portrait or landscape orientation. 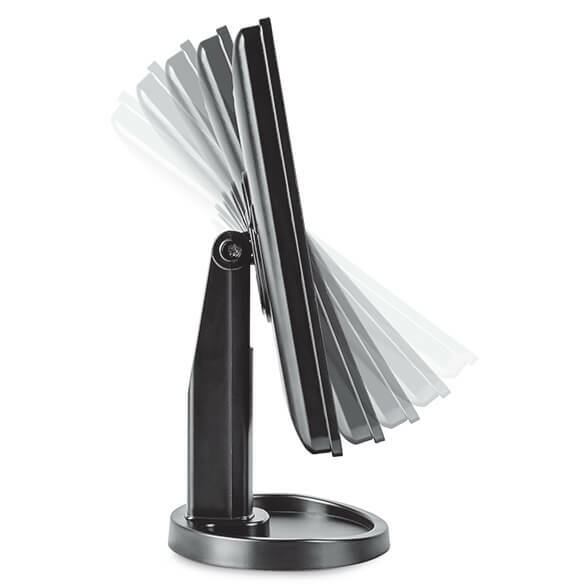 Touch screen on/off light. Uses 4 AA batteries, not included. Measures 6 1/2” W x 10 1/2" H overall. Mirror measures 6 1/2" W x 8 1/2" H.
My eyes are getting worse and I need help seeing while getting ready. what's the magnification of the large part of the mirror? BEST ANSWER: Thank you for your question. There is no magnification for the mirror. We hope this information will be of help to you.